I have been taking a break from swapping and challenges these past months, trying to focus more on my thesis, but these two were just too good to resist! 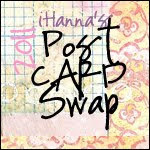 I have joined iHanna's second annual DIY Postcard Swap. The object is simple: make 10 different handmade postcards (any style or technique) and mail them off to 10 swappers from all over the world! 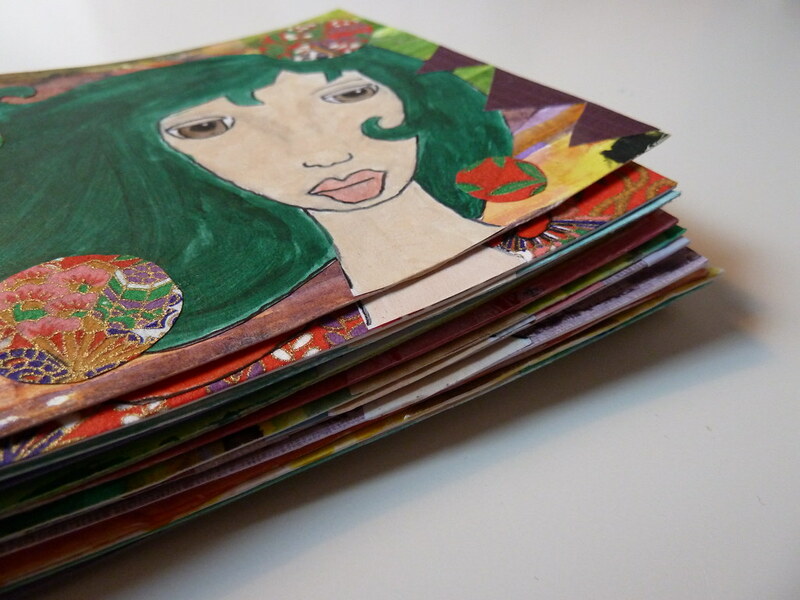 The send-outs are fast approaching, so I have been working away on my cards. 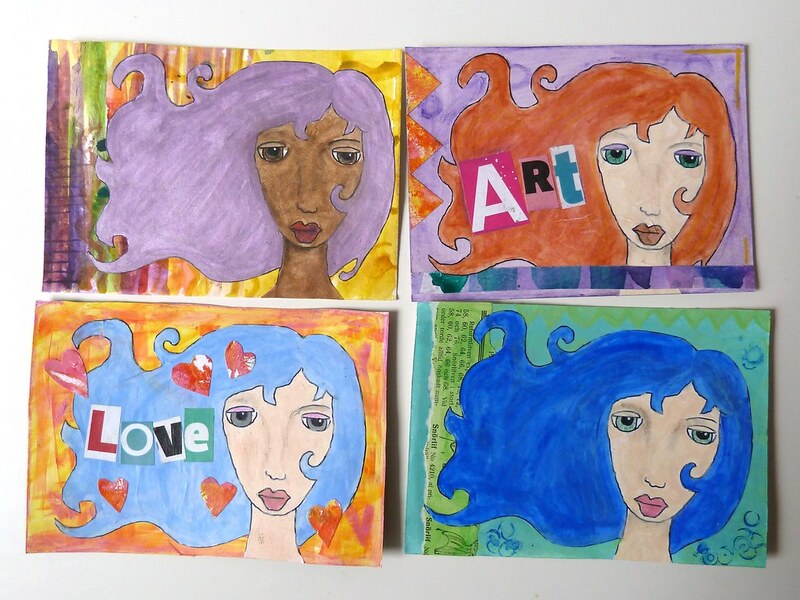 I decided to use the same image on all my cards, but vary the collage elements and colors. The girl comes from an old journal page, which I scanned, traced and cleaned up in Photoshop, and printed. I used acrylics, book pages and all sorts of papers for the cards, and then sealed them with mod podge. Some of them are still waiting for the finishing touches, and then I just need to add sturdy backs and send them off to their new homes! 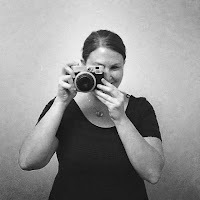 I also joined the recent 30 days of Lists challenge, organized by Kam, Amy and Justine. 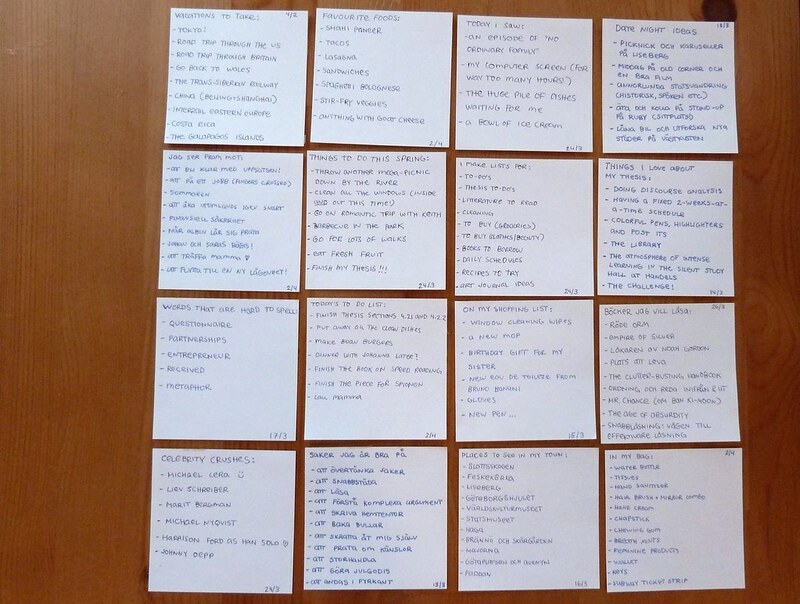 Since I am an avid list maker, I had a lot of fun with this challenge. I'm planning on using my lists in upcoming art journal pages. Lovely postcards . .. I like how you used the same face, but different on every one! Tusen takk for det flotte postkortet jeg fikk fra deg. Første gangen jeg er med på dette. Gøy å få kort i postkassen. Og så mange flotte kort som blir laget. Fun to see your cards, thanks for sharing. One of your lovely postcards arrived in New York City today. Thanks so much! I spent a few rainy days in Gothenburg once, and have an irrational love affair with Sweden in general, so it was especially fun to receive your card. Hope you had a fun swap. Just got your postcard today. So pretty and I love the happy Swedish stamps!